Affordable local floor sanding in Carlton is now available! We are the local and affordable flooring experts in Carlton and have been servicing the area for over 20 years. Whether you live in one of Carlton’s coveted terrace houses or any type of house, we can handle your flooring needs. 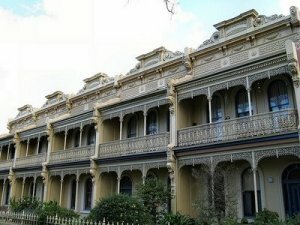 Carlton is one of Melbourne’s oldest suburbs with a proud history. And as with so many of Melbourne’s early suburbs, wooden floors may need some restoration. We have extensive experience with all types of timber floors. So whether your existing floor needs some TLC or you would like an entirely new floor installed, contact us today for a free quote. We have been sanding and installing floors in Carton and neighbouring suburbs for more than two decades. We have deep roots here and are extremely happy that we are a name the residents in Carlton trust. Our commitment to great service and affordability has made us a popular choice amongst people looking for floor sanding in Carlton. Our experienced team are reliable, professional and always on time. A high degree of workmanship and attention to detail ensures that your floors will be left looking like new. We have a wide array of hardwood floor products and services for you to choose from. We offer all sorts of floor sanding. Whether you need installation of new floors or need to repair a damaged floor, our flooring expert can help. Hire us to handle the flooring needs for your business with the widest range of products and professional staff. We have built our reputation in Carlton by sheer hard work and a commitment to excellence for all our valued clients. Call us and we can provide you with an affordable solution for your all your flooring needs, whether it is an existing floor or new installation. Need expert floor sanding, polishing or installation in Carlton? Call us today – phone 0402-093-872 and we can help you with a wide range of flooring services in your area.